First, you need to have access to the training files of your gadget. Depending on what gadget you are using, this can be more or less complicated. Since there are so many different gadgets, we recommend to Google it! You can use phrases like: How can I access my (device name) training files. When you have accessed your files, all you have to do is drag and drop your file into a training entry. 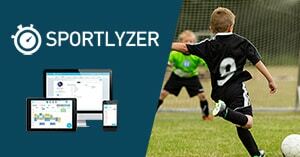 Sportlyzer will read your file and you will be able to make final adjustments, like add a comment or adjust the intensity slider. There are really a lot of different data types in use for storing workouts. If for some reason, your upload fails or your data format is not supported, please send us an email and we will try to add the missing data type. If you have multiple workouts combined in one file, you should click on the "Upload" button on the top-right of your training diary. When you upload your file here, Sportlyzer will make sure to create separate workouts for each workout in your file.